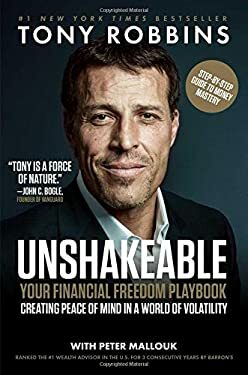 Tony Robbins, arguably the nation's most recognizable life and business strategist and guru, is back with a timely, unique follow-up to his smash New York Times bestselling Money: Master the Game . Market corrections are as constant as seasons are in nature. There have been thirty such corrections in the past thirty years, yet there's never been an action plan for how not only to survive, but thrive through each change in the stock market. Building upon the principles in Money: Master the Game , Robbins offers the reader specific steps they can implement to protect their investments while maximizing their wealth. It's a detailed playbook designed for investors, articulated in the common-sense, practical manner that the millions of loyal Robbins fans and students have come to expect and rely upon. Few have navigated the turbulence of the stock market as adeptly and successfully as Tony Robbins. His proven, consistent success over decades makes him singularly qualified to help investors (both seasoned and first-timers alike) preserve and add to their investments.